Make the Switch from Eyeglasses to Contact Lenses Today! At Bruce Coward & Associates, we are dedicated to providing patients of all ages with the highest quality eye health and vision care services. While eyeglasses are a great vision correction option for most patients, others may be interested in going frameless at some point. Contact lenses are a convenient, versatile, comfortable and affordable vision correction options for patients of all ages. We are proud to offer a wide variety of contact lens options for patients in Belleville, Trenton, Brighton and the surrounding areas. Whether you work with computers, you’re an athlete, or you have hard-to-fit-eyes, Dr. Coward and the team are here to help you find the perfect contact lenses to fit your specific needs and budget! Do you already have eyeglasses and don’t want to wear them full time? Or maybe you've found out that you aren’t a good candidate for other vision correction options like LASIK? Whatever the case, if you are in search of a convenient and affordable vision correction option, contact lenses may be a good choice for you! 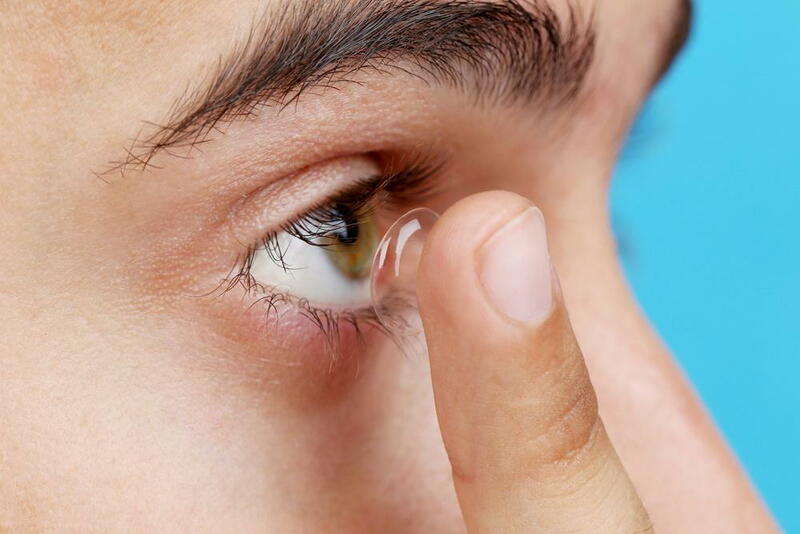 Daily Wear Lenses – These are the most common type of contact lenses worn today and are great for those who wish to wear their contacts every day. These lenses can be worn for up to 18 hours, are easy to remove and can be stored each night to be used the next day. Daily Disposables – This is a convenient option for those who don’t want to bother with cleaning and storing their contacts each night. Simply wear them all day and throw away at night, this option is also great for those with allergies. Extended Wear – Utilizing new breathable materials, these contact lenses can be worn for up to 30 days straight. But depending on your needs, our eye doctor may recommend removing the lenses at night for better results. Are you interested in finding a convenient, comfortable and affordable vision correction solution? Then contact lenses may be right for you! Come discover the difference that contacts can make in your daily life with our experienced optometrist at Bruce Coward & Associates. Call any of our THREE locations today! Belleville (613) 968-6560, Trenton (613) 392-6211, Brighton (613) 475-3900 or visit our friendly optometry team online to schedule your initial eye exam today.